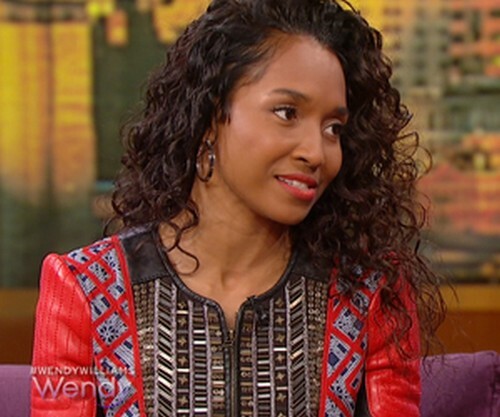 One-third of the R&B/hip-hop girl group TLC, Rozonda “Chilli” Thomas, stopped by the Wendy Williams Show to talk about her love life, Usher and the new TLC biopic that will air on VH1. In the interview Wendy asked if their was a reunion in the works for Chilli and Usher. Following Chilli’s breakup with Dallas Austin, she became involved with singer Usher Raymond (and was featured in his music videos for “U Remind Me” and “U Got It Bad.”) The couple broke up in January 2004. Chilli went on to talk more about her love life, her past with Usher and a new TLC biopic that will air on VH1 very soon. Cotten Kandi has the full interview, head over HERE to view it!